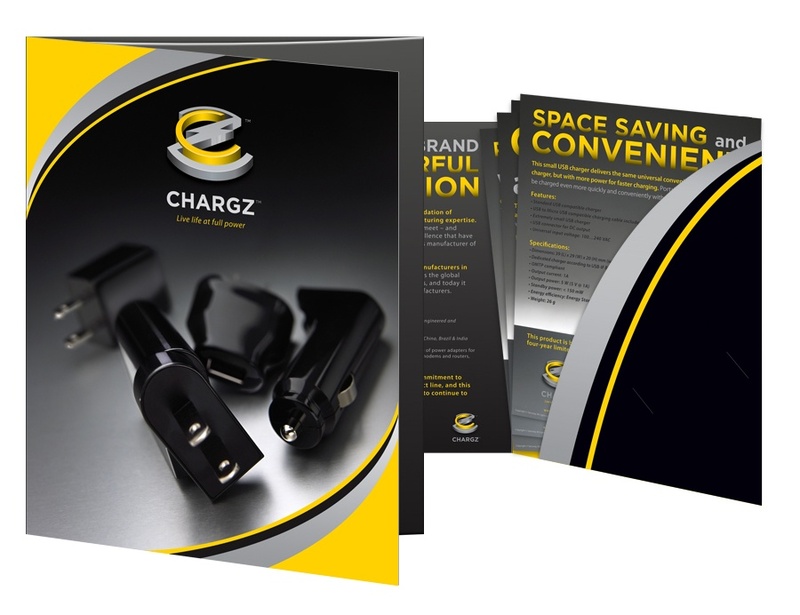 When Salcomp—an international manufacturer of digital and mobile chargers—approached us to create a brand for a retail-facing product group, we totally plugged in. A power player in the mobile charger category with manufacturers, Salcomp wanted to introduce its products at retail to savvy consumers. We had the opportunity to bring all of our expertise to bear—including extensive research like qualitative surveys, store audits, category and competitive analysis, along with activation and digital capabilities. 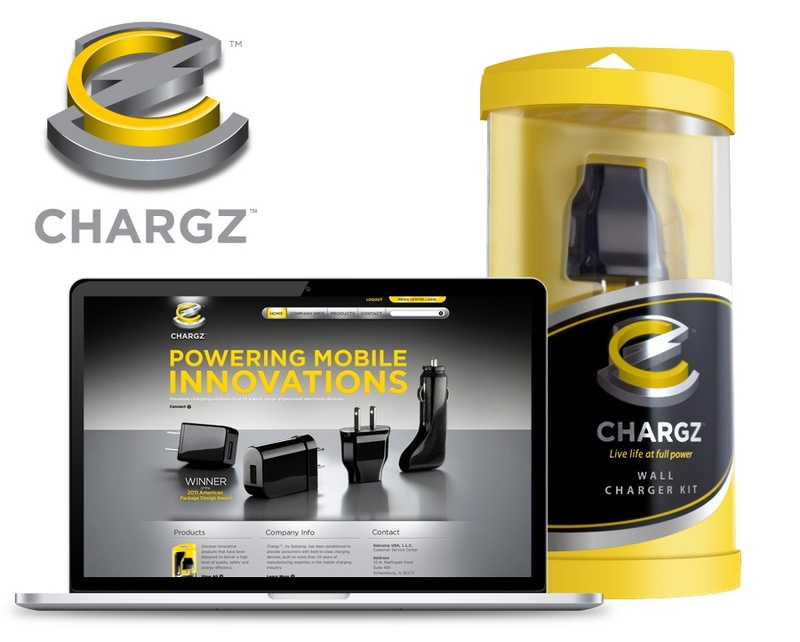 Retailers already had charger partners, if not their own store brands. Consumers seemingly shopped the category on price—would high-end design make a difference? What would it take to differentiate the Chargz brand from other brands within a very competitive—and very cluttered—marketplace at launch? We built the brand from scratch, using our Consumer First model to leverage heat mapping to see what resonated with consumers, including structural engineering, package design, the logo, the brand color palette, style guide, brand website, print ads, sales collateral and press releases. 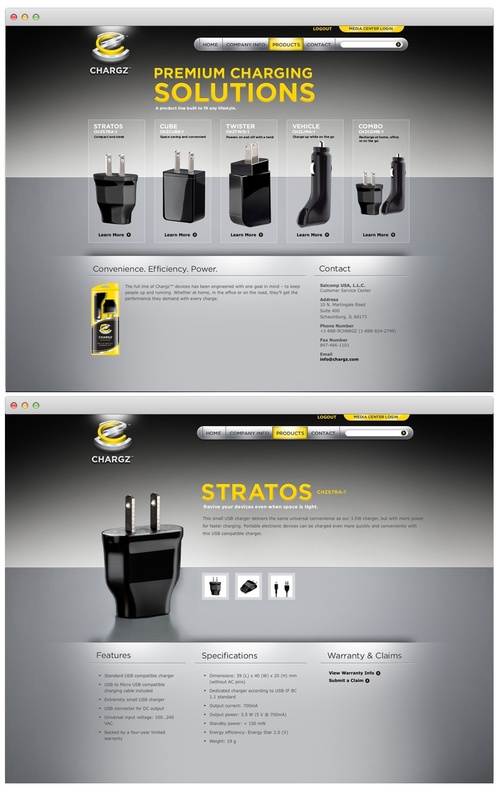 The website included consumer facing and sales functionality—which worked in concert with the sales kit we developed, enabling the sales force to create marketing materials as needed.